The Vinik $15-18 Billion transit tax hike and the Chuck Sykes/District Rays Candidate Hagan billion dollar stadium have officially combined into one collaborative effort. The latest campaign filing found on the SOE website of Vinik's transit tax hike All For Transportation (AFT) PAC provides the confirmation. On July 11, Sykes donated their Vinik required $150K to the PAC. Here is the entire list of donors to the AFT PAC available on the Hillsborough SOE website. AFT did a faux grassroots call to action for citizens to donate $20.18 to their transit tax hike petition effort. It was an epic failure. A whopping four people responded because AFT and everyone else knew the special interest donors were their bank account. Thomas Scherberger, who donated $250, works for Hillsborough County Clerk of the Court and is the husband of Janet Scherberger. As we reported here, Janet Scherberger works for Lopano at TIA and is a Director of the nonprofit Keep Hillsborough Moving, Inc. connected to the AFT PAC. The highlighted five deep pocketed special interests donors who donated $150K each are connected to each other, Jeff Vinik and his [Under] Water Street development. Sykes, Vinik and Rays President Brian Auld each pay Tampa Bay Partnership $50K a year to be a member of their pay to play lobbying organization. WSP previously known as Parsons Brinkerhoff of the Go Hillsborough debacle, Vinik's Tampa Bay Lightning and Darryl Shaw each pay Tampa Bay Partnership $25K a year to be a member of their pay to play lobbying organization. After Shaw bought up the Ybor property, he donated at least $5K to District Rays Candidate Hagan's District 2 race right before Ybor was announced as the likely site for the new stadium last year. Ybor is NOT in District 2…..
Sykes donated almost $200K and carried the financial torch for the losers - the pro rail tax hike PAC Moving Hillsborough Forward (MHF) - who spent almost $1.6 million promoting the rail tax hike in 2010. It was Hagan and his Transportation Task Force who recommended putting that massive boondoggle tax on the 2010 ballot that was defeated 58-42. Tampa Bay Partnership with Sykes in tow created the MHF PAC and had donors contributing before the rail tax was ever even put on the ballot in May 2010. Why? Because they had assurances from then BOCC Chair Hagan that he would get the tax hike on the ballot. Then Sykes supported Greenlight Pinellas rail tax boondoggle in 2014 that was defeated by an even greater margin 62-38 in Pinellas County. 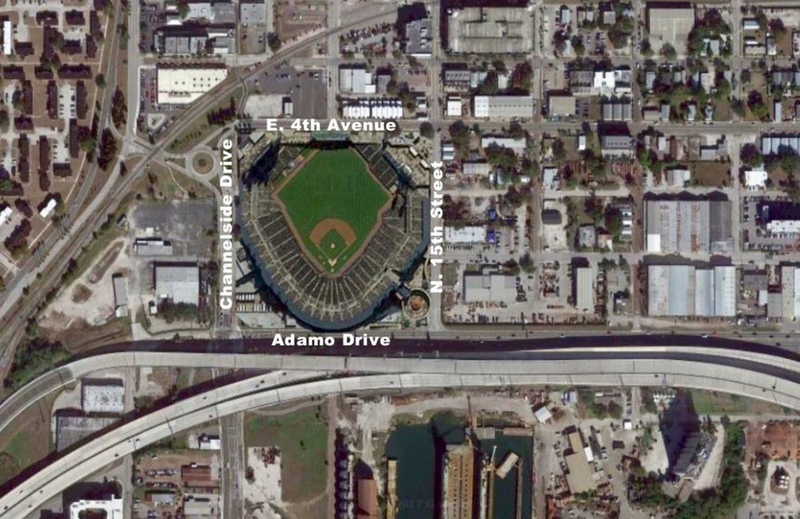 Now Sykes has decided to play first fiddle for the BILLION dollar stadium with no parking. Sykes is now scheming in secrecy with the District Rays Candidate Hagan for how to bleed dry Community Redevelopment Area (CRA)/special taxing district money to publicly finance the billion dollar stadium. Since 2011, District Rays Candidate Hagan has been talking about using tax increment financing (TIF') to publicly finance a new stadium with huge amounts of debt. CRA Boards, which can be stacked with more cronies, can pledge TIF funds to finance bonds with NO public input. CRA's, with lax accountability and transparency, can invite abuse and have been abused. In steps Vinik last year. Indications are that the tax hike and the Ybor stadium site were probably being orchestrated at least early to mid last year. That was about the same time Vinik admitted he bailed out the Times as he needed to own his own media megaphone to push his agenda. According to the county lobbyist registry, Vinik was meeting with County Administrator unelected county mayor Mike Merrill in May, June and December of 2017. Vinik met with Hagan on June 5, 2017. Taxpayers have been paying for highest paid Merrill and his highest paid staff's time to be intimately involved with Hagan and the Rays - behind closed doors with no transparency - on public financing schemes scams for the billion dollar stadium. Vinik now plays first fiddle for pursuing another 30 year massive transit sales tax hike that is worse than the rail tax defeated in 2010 (post for another day). Now that Sykes has thrown in his obligatory $150K into Vinik's massive transit tax hike - the collaboration of cronies pursuing the Billion dollar stadium with no parking and a $15-18 Billion transit tax hike is confirmed. The Sykes/Vinik/Hagan triumvirate to control billions of tax dollars and scam taxpayers not once but twice is complete.